A first-time-buyer can apply for a home loan to purchase a new or second-hand property, or to build their own home under the scheme. A FIRST-TIME-BUYERS loan scheme requires a “further tranche of funding” in order to continue. Concerns were raised today that funds for the government’s Rebuilding Ireland Home Loan Scheme have run out. Labour Housing Spokesperson Jan O’Sullivan today raised concerns about a directive being issued to local authorities telling them to stop considering applications for the Rebuilding Ireland Home Loan Scheme due to funds for the scheme running out. “This process is the last resort of many desperate people and families who are trying to buy their own home. We are talking about people who have been declined any other form of loan for a home and may have gone sale agreed. “The issuing of any directive from the Department of Housing telling councils to stop considering applications sets off alarm bells for those who are considering the Loan Scheme as their last resort or who have already started their applications,” said O’Sullivan. She added that the notion that funding for such a necessary scheme would even be allowed lapse, and result in applicants being left in limbo, during what is such a stressful period is alarming. 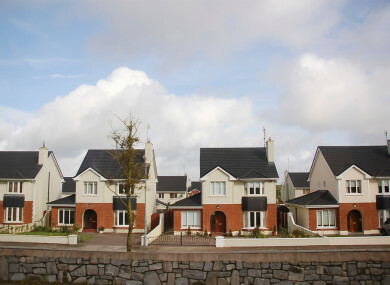 A spokesperson for the housing minister confirmed to TheJournal.ie that the Housing Department is currently in discussions with the Departments of Public Expenditure and Reform and Finance with regard to an extension of the scheme in this regard. In a statement, they said prior to the Rebuilding Ireland Home Loan launching in February 2018, an initial tranche of €200 million of long-term fixed-rate finance was borrowed by the Housing Finance Agency to provide funds for the scheme to local authorities. When discussions between the two departments conclude, Minister Murphy will be in position to make an announcement on the matter, they added. Email “First-time-buyer loan scheme requires 'further tranche of funding' to continue ”. Feedback on “First-time-buyer loan scheme requires 'further tranche of funding' to continue ”.